Playing a Private party in May 19, 2018. Special thanks to Olivia Seyfarth Photography. I have well over 30 years experience in the business.I'm mostly a Frank Sinatra Tribute Artist/Impersonator, but I also do other artist's songs such as Dean Martin, Sammy Davis Jr., Nat Cole, Tony Bennett, Bobby Darin, Neil Diamond,and Elvis Presley songs. I can perform a solo gig with background tracks. I also have a small band, seven piece charts, or even big band, 17 piece band charts. I have currently over 150- 17 piece band vocal charts, and 60 to 70-7 piece band vocal charts. I also work with other tribute artists. Gary was the hit of the evening at my son’s wedding. His voice was wonderful and he kept going strong. We loved the way he worked the room. One of the musicians commented on his smooth voice. I had a couple dozen people ask me for contact information. To top it off, Gary is just an incredibly pleasant gentleman. Highly recommend!! Thank you so much for this very wonderful review, Christine! Everything couldn’t of been more perfect that night, from the cocktail hour set, to the dinner set that I had the pleasure to perform for you, family, and guests at your son Philip and his lovely new bride Tracy’s wedding. The evening couldn’t of been more well detailed, or have gone any smoother than I could’ve ever imagined ! Just one of the best gigs I’ve ever had the privilege to play. God bless to all, and hope to see you again very soon. The best Frank Sinatra performer! Gary was very prompt and professional throughout the process, from scheduling to follow up. He performed for residents at Walled Lake Villa. He was very personable and the closest you will get to Frank Sinatra. He also did some great Dean Martin! The residents can't stop talking about him and we can't wait to have him back. He was a big hit and a pleasure to work with. I highly recommend Gary Sacco! Exceptional person and performer! It was my pleasure and can’t wait to we do it again, and again! Your wonderful review is now among my three allowed “featured” reviews. Give all my best to everyone at Walled Lake Villa! And we will talk to you very soon. Gary has provided vocals for the past two years at a large golf outing that I host annually. He is first class the whole way through. From booking, to selecting the songs, flexibility, and his performance. He is very easy to work with and does a fantastic job. Many people look forward to seeing him year to year. I would definitely recommend Gary and I am excited for this year’s event. Thank you so much for this wonderful review Thom! I look forward to playing this event for you again this year, and for many more years to come! It’s a job that my band also very much appreciates, and I’m sure you know that I will do my very best to satisfy all your needs and making sure your event/memorial goes to the best of its capability every time the band and I play it for you. Looking forward to speaking with you very soon and continuing plans for this year‘s event! All my best to you and your family and friends! He Was The Hit of The Party!! This man is literally The Rat Pack reincarnated! What a show!!! He gets your guests hoppin' and is Very interactive...he really put the pizazz into my party, in fact I am still getting texts and calls about his performance. It was my husbands surprise 50th. He is a man having a love affair with the 50's era and Gary was the perfect ticket to his surprise party. He is professional, friendly, trustworthy and goes above and beyond. I cannot say enough or recommend his services enough. Gary, thank you, thank you from the bottom of my heart. You're a true blue star! Thank you so much, Karen! This was a wonderful party, and wonderfully attended by all of your family and friends. From the minute I walked in I felt very comfortable, I sat down and talked with you and Mike, we went over some songs together, and then your guests had even more great suggestions that really made the presentation even more fluid and one to remember! I really appreciate everyone receiving me so well, and I look forward to seeing you very soon at one of my gigs, and or shows. Happy 50th birthday to Mike again, and please stay in touch. 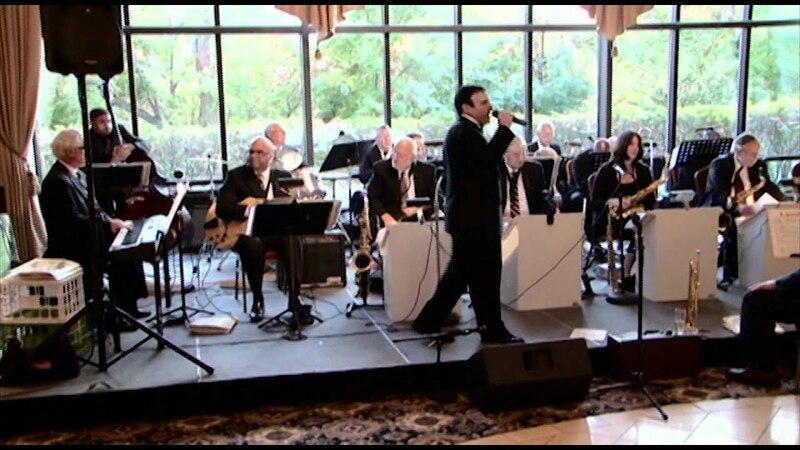 The event was a a big hit, mostly due to Frank Sinatra, Dean Martin, aka Gary Sacco!! He showed up on-time and set-up was easy! He was such a hit and everybody is still talking about it today! We will hire him again for sure! Hope to see him soon at some of his other events! Thanks, Gary!! Just a very sincere and wonderful review here! I couldn’t be more appreciative! This party was such a great time and one of The more memorable ones I have had the pleasure to do! It was also very, very very well done by the folks who hosted it!! Thank you so much again Ryan, family and friends! I’m already very much looking forward to doing it again, and hope to see you all again very soon! What an amazing job Mr. Sacco did! It was so believable that he was Frank Sinatra. Very professional, wonderful voice beyond anything I was excepting. Thank you so much for such a wonderful review, Kelly! It was my pleasure to entertain all those nice people for the Grand Opening of the Livonia Holiday Inn last Thursday, January 31!! All my best to you, Andy, Travis, and the rest of the staff at the Holiday Inn in Livonia! Thank you so much Ron for this nice review! It was my pleasure to perform for you and your friends from your Italian Association. Just great people, and hopefully we can do it again real soon! We booked Gary Sacco, Jim Wilpula and their band to perform at my wedding. Their performance absolutely made the night! My guests were blown away when they arrived to see their set up and we couldn't keep them off the dance floor. The music filled the room, Gary sounded incredible and made you feel like you went back in time. They truly created a magical evening. They provided amazing service from the day we met to the night of my wedding, they were incredibly accommodating, professional and communicative. I can only hope that I have the opportunity to host another event that I can book them for again! Outstanding, highly recommended! Simply one of the greatest reviews I have ever received! Thank you very much Mary Catherine and Guy! 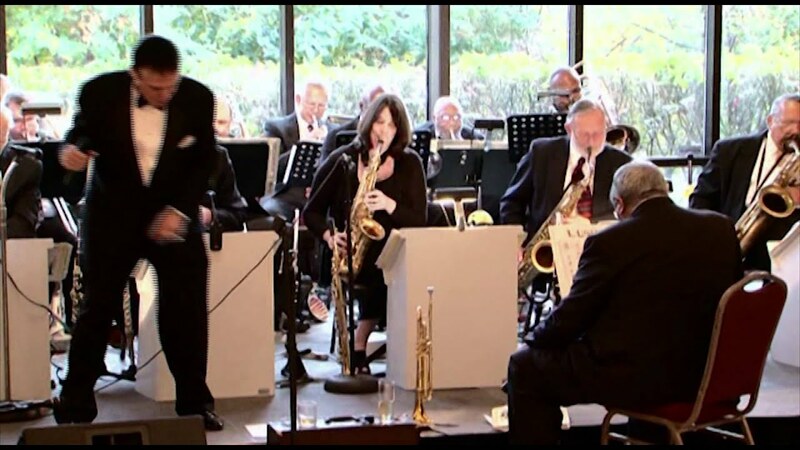 Jim and I and the rest of The Metro Detroit Jazz Orchestra we’re just simply blown away by how well your family and friends received us. Everything went even better than we could’ve all expected. Your Review here only validates that,and again we thank you so much! All the hard work that we put into this, and meeting with you to get things right was well worth ALL the effort!! God bless you all and have a very safe and happy holiday season! and The Metro Detroit Jazz Orchestra. The man, the legand, Mr Sacco! We booked Gary for a wedding and he was above and beyond our expectations. He worked well with the wedding staff, a true professional. We felt as if he was part of the family. His performance was bar none, we are still getting compliments a month after the wedding. He’s a perfect addition to any special occasion concerning entertainment. Again, we thank you for making such a special evening even more spectacular! He’s one of a kind! Truly an exceptional and remarkable review here Kevin! Thank you very much from the bottom of my heart! Your family, and all your friends made this one of the more memorable Weddings that I’ve had the pleasure of performing for! God bless you all, happy holidays, and I hope to see you all very soon again!! A warm and nostalgic performance!!! Thank you so much Marion! It was a great and fun day for all! You did a great job organizing everything, from the food to the flowers! All my best to you, Thomas,Nick, Courtney,and all the rest of the staff there at team rehab in Novi! You all made this a very fun and great and memorable time for everyone! I hope we can do it again sometime in the near future! Take care and hope to see you all very soon! Gary sang and emceed for our Team Rehab grand opening party 10/27/18. He was simply amazing. He had the crowd of nearly 200 in the palm of his hands the entire afternoon !!! He knew exactly how to keep them entertained the entire afternoon. His music selection , his voice , how he interacted with guests and staff was simply perfect !!!! In addition to his performance , Gary demonstrated such a genuine kindness that was so endearing, it's like he be am an instant extension to the family . Following his gig, I received countless compliments on how great Gary's performance was and how much fun my guests had listening to Gary sing and emcee. He literally made our open house / corporate event a huge success... I HIGHLY RECOMMEND GARY SACCO FOR YOUR PARTY!!! Thomas Sheppard, Team Rehab PT , Novi . WOW! Thomas thank you so much for one of the greatest reviews I’ve ever had the pleasure of receiving. This event was so well done, and so well organized, and everyone was so genuine and thankful for everything that you and your staff provided. You made this such an enjoyable day for all those involved, I can only say I wish that ALL my gigs go this smoothly. God bless you and your entire staff Thomas! All of you are truly centered on giving your patrons and the public the best service possible. Stay in touch my friend! Hope to see you and your staff very soon! Gary was also wonderfully flexible to work with leading up to the event when we contacted him last minute, willing to modify his normal performance to accommodate our needs and wishes. He also sang all of our requests! The joy on my grandparents face was priceless. WELL WORTH reaching out to him!!! So awesome! Thank you Gary!! This is a review beyond my expectations! As I read it I could not believe how wonderful it made me feel to hear how I pleased your grandparents as I did. Thank you so much for this wonderful review, and hope to hear from you again very soon. We hired Gary as a Frank Sinatra impersonator for my fathers 60th surprise birthday party. Booking was a breeze and he was very prompt at responding to the request made on gigsalad for more info. He was very responsive and communicated his ideas and song selections from the start. Gary was professional, courteous and prompt. We all had a fantastic time and I’d be happy to hire him again for another event in the future. Thank you so much Nikki for this wonderful review! I also want to thank Toni, and Michael for having me play this wonderfully done and planned surprise birthday party. It was also nice to make some new friends,so I’m also planning on staying in touch! Gary Sacco was a great addition to my Mother's 80th birthday party. He was a great performer and everyone enjoyed his entertainment. My Mom and her friends loved the music and we were all singing along with him (especially New York, New York since my Mom and her brothers are from New York). We all enjoyed having him at the party and would recommend him to anyone! It was my pleasure entertaining your mom and friends for your mom’s 80th birthday party! Please stay in touch, and hopefully see you and your wonderful family and friends again soon! HE WAS OUTSTANDING. A GREAT TIME HAD BY ALL!!! I WOULD RECOMMEND GARY TO ANYONE! Thank you for giving me the opportunity to provide a great time, atmosphere, and memorable evening for your father celebrating a milestone birthday! Wonderful family, and friends! It was my pleasure and hope we can do it again real soon. Take care, and give my best to everyone! Mr. Sacco did a great job performing at our holiday event. He added a special element to our party and sounded just wonderful! He operated in a professional manner and was very nice to deal with. We received nothing but positive feedback from our guests, and would certainly recommend him to anyone looking for a great entertainer to add that special touch. Thank you so much for this wonderful review Emily! That was a wonderful event, and I appreciate everything that you, John, and the entire Villa Penna staff provided for me to be centered in the room and provide a top notch performance for you and your many wonderful guests! I hope we can do it again sometime soon, or maybe next holiday season? Gary performed at a Christmas fundraiser for McLaren Port Huron Hospital to over 700 guests. We received all positive feedback about his performance. He was easy to communicate with leading up to the event, and takes pride in his performances. Thanks Gary! Thank you so much Lynn for this wonderful review! It was my pleasure, I met a lot of nice folks, and what a great event it was! It was also very nice the way everyone reacted to the performance, and I appreciated that very much. Hope we can do it again, and have a safe and enjoyable holiday season. We hired Gary Sacco to impersonate Frank Sinatra during dinner. It was HUGE success! Guests of all ages got up to dance. For weeks people were complimenting him! And us for hiring him. We suggest him for any occasion you are thinking of. He was easiest decision we made. And great guy to work with!! Thank you so much Zena!! It was my pleasure, and what a wonderful event/wedding it was! My congratulations again to your daughter and her husband!! It was so wonderful to see how everyone packed the dance floor and danced away as I went through my performance. I also very much appreciate the referrals I potentially have received through playing this event for you, and of course this wonderful review!! Many thanks to you, your wonderful family and friends, and hopefully see you soon at another one of your events, and/or one of my shows. We hired Gary for my Grandmother's 90th surprise birthday party at our home. He showed up early to set up before the surprise. His equipment is top notch and he's very professional. He took pictures and mingled before he began his performance. Once he started preforming everyone at the party couldn't say enough about how good this guy is. He sounds great, and interacts with the party which made for such an awesome time, that we had him play for an extra hour. Gary really made the party fantastic and we couldn't, have been happier with your performance. Thanks for making our grandmas 90th extra special and on to remember. Thank you so much for the wonderful review here! You made it a very worthwhile, a memorable event yourself! Thank you also to your dad Duane,your wife Stefannie, of course your wonderful grandmother Bena! I'm so glad that we could work together to make this a very memorable, and wonderful birthday celebration for her! You'll really think it's Frank Sinatra singing. Gary Saaco entertained at my Father's 86th birthday party. He was absolutely wonderful! If you closed your eyes, you would really think that it was Frank Sinatra singing. Frank Sinatra is from my Father's era, but I love his songs too. Gary managed to be inconspicuous at first when he acted like the DJ and blended in with my guests for dinner. No one recognized him once he donned his Frank Sinatra suit and hat and started singing. The sound system that he was using also sounded live and did not drown out the guests, who were exclaiming how Gary sounded just like the real Frank Sinatra. My guests really enjoyed it and Gary made my party a big hit. My Father and I got up and danced to " I only have eyes for you". We hadn't danced together, since my wedding 26 years ago. I also had fun pantomiming while Gary was singing "That's Life". That song really speaks to me. "I've been up and down and over and out, and I know what they mean". Gary you are extremely talented. Thank you for making my Father's party a very special memory for all of us. It was my pleasure to be able to pull off this inconspicuous surprise to celebrate your father's 86th birthday. I'm glad that you, family, and friends were pleased with my performance, and I in turn was very pleased with the way they received me. I also appreciated the helpfulness that you displayed in order for me to get set up, relax, and do my performance for you and guests with ease and enjoyment. That makes it very routine for me to "stay in character", and do my performance effectively. Many thanks for this nice review you have left here for me, and I hope to see you again real soon. What a night we had at the Alma Elks Lodge, on October 8th,as Gary performed for our members and guests. Gary gave a spectacular show. The interaction with the audience was unbelievable. Gary is a true professional. The compliments from the guests have been amazing, asking when are you having him back. So Gary , thank you for all your time and energy that you put in performance as Frank Sinatra, at our Elks Lodge. Thank you so much Richard and Geraldine for managing and making my job as easy as possible! We were able to give you all a great show at the Elks Club! Wonderful time, with wonderful people and looking forward to doing it again real soon! Hiring Gary was the best decision that we made. Gary flew into St. Louis to perform at the Botanical Gardens for our Mother's 75th Birthday for about 100 guests. The venue was beautiful and the food and the drinks were all great but Gary absolutely made the party. Hiring him was the best decision we made. 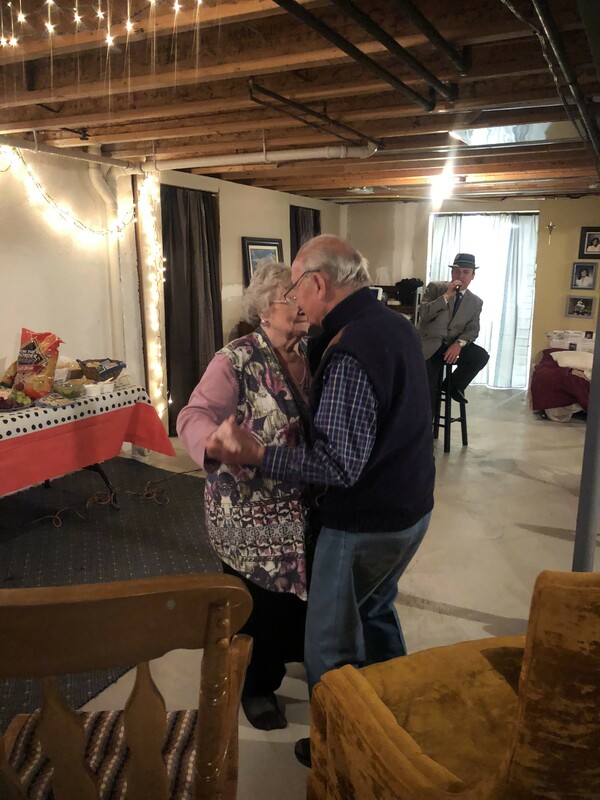 People who had not danced in years were dancing and, best of all, he made our Mother and every other guest feel special. His Sinatra is spot on but the Neil Diamond and Dean Martin covers are at least as good. He was professional, organized and courteous. We would recommend him for any event or occasion. Thank you again Gary! Thank you very much Michael! You deserve as much credit for making this event go as well as it could have. You're joining me for a song, was like you said, the cherry on top. Please give my best to all friends and family that attended, and I hope to see you all again very soon! My family hired Gary this past Labor Day weekend as a surprise to our Mother for her 90th birthday celebration. We found Gary on line and so very thankful we did. He arrived in street clothes much earlier than his performance time and was able to chat with our guest and Mother who had no idea that in a short time he would transform as Frank Sinatra. Everyone at our event was so surprised to see Gary on stage in his suit and hat coupled with his amazing voice they couldn’t believe he was the same individual they were speaking to only moments ago in street clothes. We could not have been more pleased with his professionalism and outstanding talent. He was/is fantastic, friendly, accommodating with requests and was able to engage the audience more than I could have hoped. Our Mother was and still is over the moon with the memory of this day and his performance. Gary is definitely someone you want to have at your event. What a great night. I highly recommend Gary. You will not be disappointed! Gary, thank you for a great evening and a forever memory for our mother and those of us who were fortunate to hear/see you perform! I look forward to the next time! Thank you so much Gayle for such a wonderful review. It was my pleasure to make your mother's 90th birthday party a much memorable event! Best to you and yours, family and friends and looking forward to the next time! Rave Reviews for Gary Sacco as Frank Sinatra! My husband and I have a Family & Friends 4th of July party each year and always include entertainment. This year we struck it rich by having Gary Sacco as Frank Sinatra. Gary did a great job impersonating the one and only Frank with songs from his collection of many hits and classic favorites. With the suit, the hat, the blue eyes and the amazing voice, it set the mood for a great performance. Very professional with good sound equipment and preparation, All of my guests were very pleased. By request he even included a couple of songs from other classic artists such as Elvis, Tony Bennett, and Bobby Darren. What a great night. I would recommend Gary as Frank Sinatra or the Rat Pack Show. It is well worth the investment to ensure a successful event and happy guests. Thank you very much Debra! It was my pleasure entertaining your family and friends. I got to meet and make friends with some very nice people. I hope to see you all real soon ! Gary, I first met you years ago, fell in love with your singing (and you) You came to the Plymouth Elks and sang your heart out for us. I have followed you ever since. Thank you so much my dear friend Shelley!! I hope to see you again sometime real soon and I hope you're doing very well! We hired Frank (Gary Sacco), for my Mother's 90th Birthday party and we couldn't be more please! Everyone there (about 70 guests) was thrilled with the entertainment. 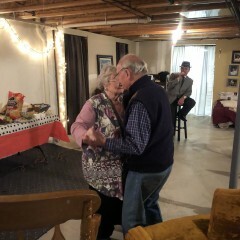 We had 4 generations of family from 5 years old to 98 years young dancing and singing along. Would hire Gary again in a minute! Well done! Thank you so much Judy! I couldn't of been more pleased myself with the way everything went. From the receiving of me by your family and friends, all the way down to everyone singing along and dancing. Even the little kids got into the act with the cart wheels in all their excitement! I hope I made it an evening to remember for all of you as well!! 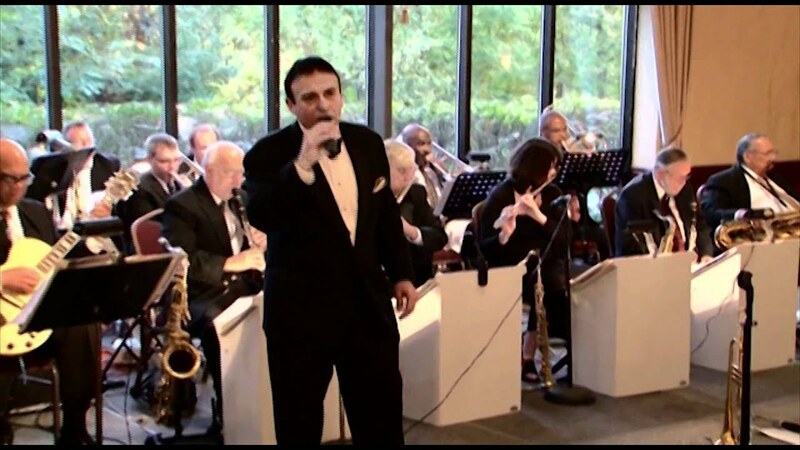 Gary performed as Frank Sinatra at our Google Corporate Holiday Party in 2014. He absolutely nailed every song, and was incredibly charming on stage, and managed to engage and entertain an audience of mostly 20 something young professionals. Gary's impersonation of Frank is spot on, and he came dressed to the nines with the fedora to help round out the appearance. In addition, his repertoire of songs stretches from the most popular tunes to the lesser known tracks of a bygone era. Lastly, Gary was very professional before, during and after the event. We loved having Gary at our party, and I would recommend him to anyone who is looking for a Frank Sinatra impersonator. It was my pleasure to provide so much music for you, your colleagues,and all of the Google folks. Give my best to them and hope to see you soon!! My Mom turned 85 and I wanted to gift her songs from her era from the rat pack at her surprise party. I found Gary on line and am so thankful I did . I could not have been more pleased with his professionalism and outstanding talent. Gary was the life of the party! He was fantastic, very engaging with the audience, friendly, accommodating on all requests and made my Mom feel very special. We did not want him to stop and asked him to entertain us longer! He did and we loved it ! Thank you Gary for a great evening and a forever memory for all of us! You are the best I have ever seen on impersonating Frank and gang! It was my pleasure to make your Mom's Birthday a memorable and special event!! Gary Sacco made us feel like Frank Sinatra was in the room! Gary performed at a surprise birthday celebration for the Mayor of Madison Heights, MI. The performance was excellent .... he looked and sounded just like Frank! He entertained a room of 85 people ranging in age from 8 to 85, and each and every person enjoyed every minute of it! The communication prior to the event was excellent, he was in contact on a regular basis to make sure that this surprise was everything we had hoped it would be. People are still stopping me and telling me what a great idea it was to have 'Frank' himself show up to sing for us. I can't thank Gary enough - he was fantastic! Thank you so much Carol Ann! Sacco looks and sounds great! Gary sang at my daughter's wedding, and looked and sounded great. She is a big Sinatra fan, and she, and the guests were delighted to have the Sinatra sound at her wedding. Many thought it was the hi-lite of the evening, adding that classic touch of music. Insurance: I have coverage for my equipment through my Homeowners and Auto insurance. A top notch performance with a track and/or 5,7, or 17 band presentation. I mostly am hired to do Frank Sinatra shows and impersonations as I fit the profile and that's what is mostly of my repertoire. 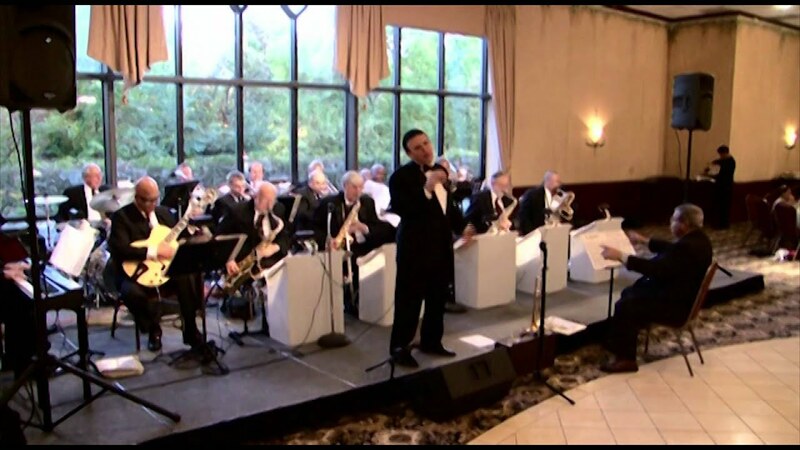 I can provide a Frank Sinatra tribute solo act with tracks,a small combo band(7-8 piece), or a 17 piece Big Band. Although I do a lot of work with bands, I also do a lot of work with tracks because it's solo and thus more cost efficient to my clients. 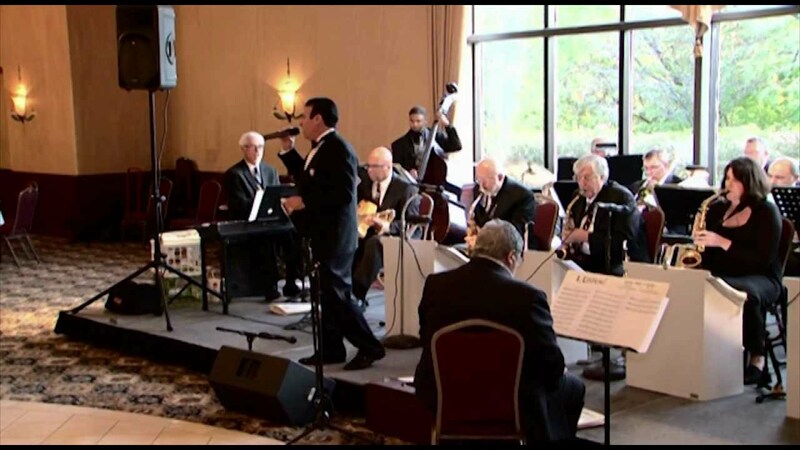 I also can do a Frank Sinatra/Dean Martin show or a Rat Pack Trio consisting of Frank,Dean,and Sammy that can also work with tracks, small band, or a Big Band. I also can do a variety of Dean Martin, Sammy Davis Jr., Tony Bennett, Bobby Darin, Michael Buble, Perry Como, Nat "King Cole, Elvis Presley,and Neil Diamond songs. I can also provide tribute shows with various other tribute artists like Johnny Cash, Roy Orbison, Gene Pitney,Johnny Mathis, and Neil Diamond. My rates depend will vary with the amount of travel,whether it's a solo with track, size of band(small combo or Full Big Band). Frank and Dean show, or the Rat Pack show with Frank,Dean, and Sammy. I can furnish all the lighting,staging, and whatever else that pertains to the details of the performance. That all depends upon the clients' needs and budgetary criteria. I have a songlist that is well over 300 songs that I can provide. My sets range from 40 minutes to a full hour. I do most if not all the main Frank and Dean tunes, but my song list(which may be furnished upon request) has well over 200 Sinatra songs. I also have over 20 Dean Martin songs I do along with an assortment of the main Sammy, Bennett ,Diamond, Darin,Como, Nat Cole,Elvis, and Andy Williams songs. Frank Sinatra, Dean Martin, Sammy Davis Jr,Beatles, Elvis, etc. For most shows I do need an adequate set up and or stage area. All of this depends on what the gig or job calls for and can be determined upon contact with the people that are pursuing my services.